For better or worse, relief organizations often chalk up their biggest fund raising successes during major humanitarian crises like the famine in east Africa. The Center on Philanthropy estimates that American nonprofit aid groups received $1.9 billion in cash and in-kind gifts after the Asian tsunami of 2004, and $1.4 billion during the year after the earthquake that decimated Haiti in January 2010. But aid groups say that raising money to address the famine has been more like that for the flooding in Pakistan last year, when dollars trickled into nonprofit coffers slowly and never came close to reaching the amounts donated to address other disasters. Relief organizations say the discrepancies underscore the pivotal role the media plays in spurring fund raising after disasters. The famine in Africa has had to compete with the wrangling over the debt ceiling, the mobile phone hacking scandals in Britain, the killings in Norway and, in Africa itself, the birth of a new country, the Republic of South Sudan. 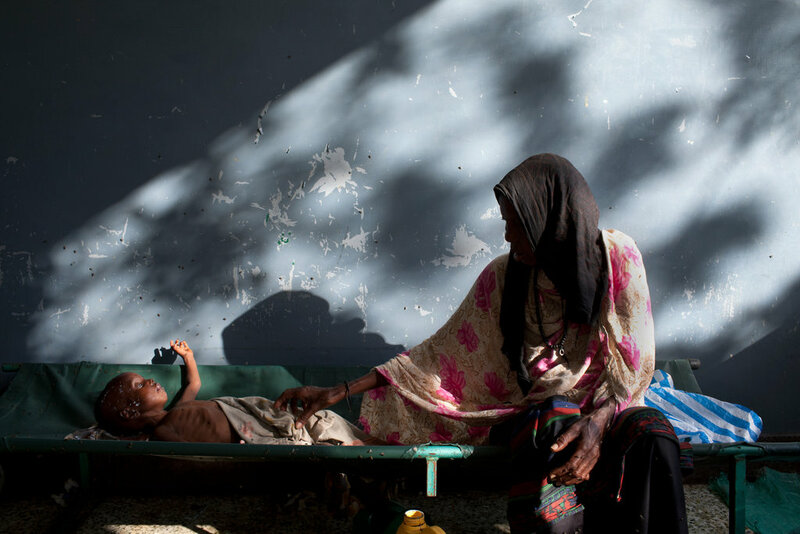 The fund began raising money to provide care and food to the children affected by the famine last month and has so far collected $5.1 million — out of $300 million that Unicef estimates it will need over the next six months to address and prevent starvation in Somalia, Kenya, Ethiopia and Djibouti. Aid groups said they did see an uptick in donations late last week, after the United Nations formally declared a famine in the horn of Africa. “That got it out into the media finally, but until then it was difficult,” said Andrew Blejwas, a spokesman for Oxfam America. Globally, Oxfam is seeking to raise more than $70 million. It has raised about $36 million so far, mostly in Europe, where donors have been more responsive. “Our British affiliate has been outraising us significantly for the first time ever — but now, all of Europe is on vacation,” said Mr. Barnicle of Mercy Corps. Mercy Corps’s American unit has raised $700,000 so far to support its work at a camp in northeast Kenya that is serving refugees fleeing the famine in Somalia, though it also won a $1.5 million contract from the U.S. Agency for International Development. Mr. Barnicle said Mercy had prepared to invest in advertising to spur fund raising, but that the early response was so tepid, it was concerned it would be a waste of money. “We started online and saw only a very limited response,” he said.